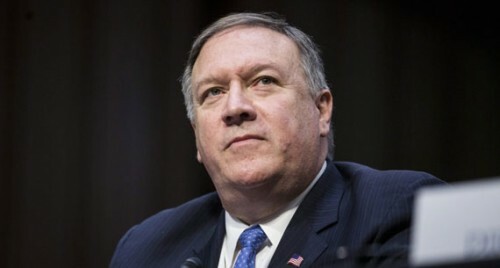 Washington, April 6 (IANS) US Secretary of State Mike Pompeo said the recent arrest of a woman who allegedly breached security at President Donald Trump's private Florida club while carrying Chinese passports and a flash drive containing malware, is an example of the threat Beijing poses to Washington. In a TV interview on Friday, Pompeo declined to provide additional details related to his claim but said: "I think this tells the American people the threat that China poses, the efforts they're making inside the US, not only against government officials but more broadly." CNN reported on Wednesday that the Federal Bureau of Investigation (FBI) had begun investigating the possibility that the incident at Trump's Mar-a-Lago property was an espionage effort. The US official who confirmed the espionage probe said the FBI is doing what it has to do in these circumstances, when there is a foreign national involved and a possibility of counterintelligence or cyber-security issues. Earlier this week, Trump dismissed concerns about the incident when asked about potential Chinese espionage. Hedescribed it a "fluke situation," praising both the Secret Service and the receptionist who stopped the accused, Yujing Zhang. Zhang was charged with making false statements to a federal officer and entering a restricted area on Monday. A detention hearing is scheduled for April 8 and arraignment for April 15. While investigators have not yet revealed conclusive evidence suggesting a link to Chinese espionage, the breach has highlighted long-brewing concerns about security at Mar-a-Lago. The club allows members, their guests and people attending events to enter and move around, even as Trump makes frequent visits to the property.